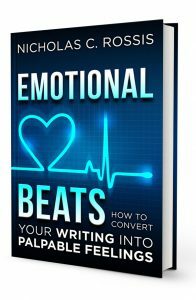 Last month, I mentioned the launch of Emotional Beats: How to Easily Convert your Writing into Palpable Feelings. 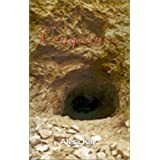 As promised, here is the first installment from the book. It lists beats you can use to convey desire. A low and pleasant hum warmed his blood. She forgot her left from her right. Her thoughts wouldn’t line up. Every time she tried to align one, it tumbled down, scattering the rest. She imagined herself melting, just sliding onto the floor in a puddle of hormones and liquid lust. Thinking about it gave her sharp palpitations. They may feel hot or cold, may shiver or sweat. The breathing changes. Usually, it becomes faster and shallower, though for some people it may deepen and slow down. The palms may become damp, the mouth dry, the stomach tight, the throat clogged. The voice may change: A rushed voice. An off-pitch laugh. A voice that breaks, drops or raises in pitch; a change in speech patterns. Micro hesitations may show fear: delayed speech, throat clearing, slow reaction time. Her arms dropped at her sides. She folded her hands in her lap. She clasped her hands behind her back. He propped his chin on his hand. She rested her chin on her palm. She crossed her ankles in front of her. He puffed out his chest. She thrust out her chest. Valuable information. Thanks for sharing.